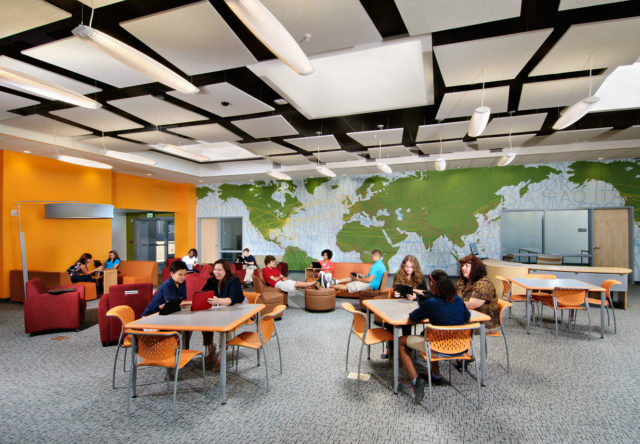 At Colonel Smith Middle School, every space is a learning space, and learning begins the moment a student steps onto the site. 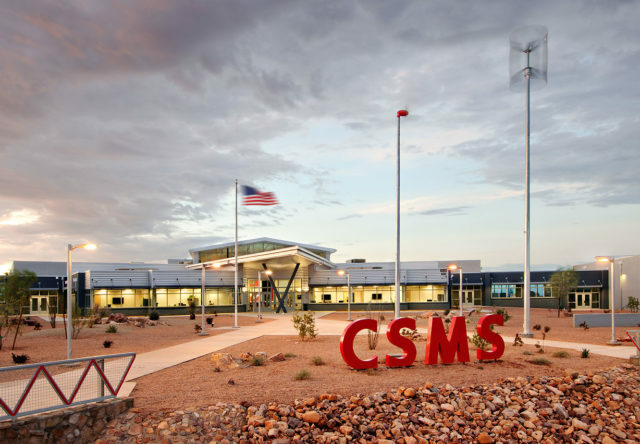 Superintendent Ronda Frueauff had a vision for Colonel Smith and challenged our team to rethink what a middle school could be and how a STEM focus should impact design. 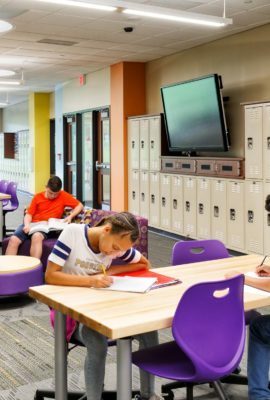 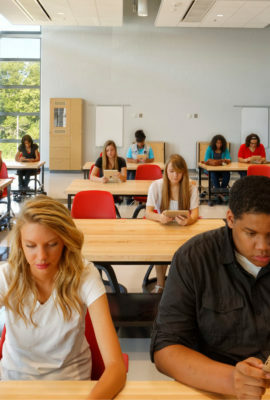 One to one digital devices allow learning to happen anywhere, and wind turbines, words imprinted on the sidewalks, outdoor classrooms, landscaping and sustainable design elements turn the entire campus into a classroom. 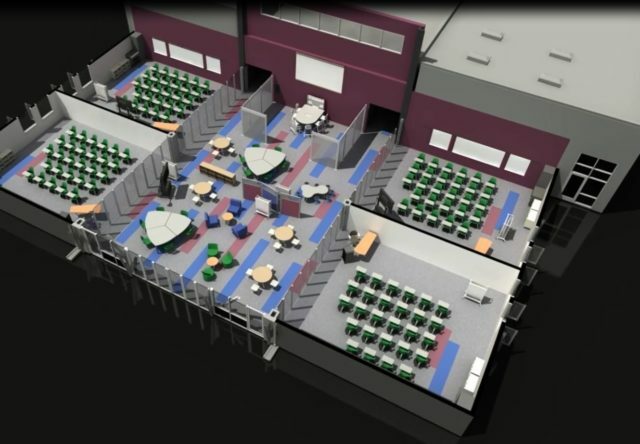 Advanced flexibility concepts allow the environment to take on any shape. 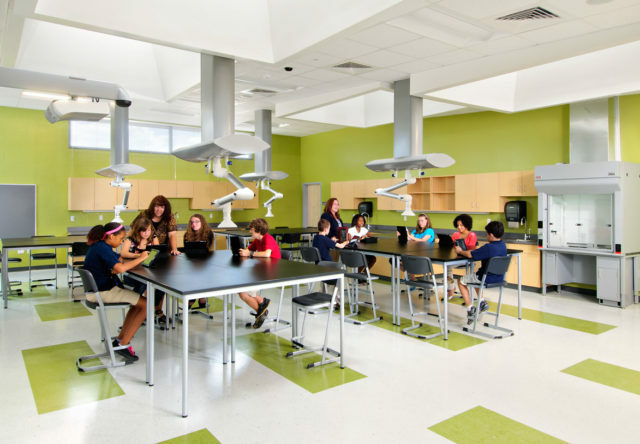 The design challenges even the language used by today's schools. 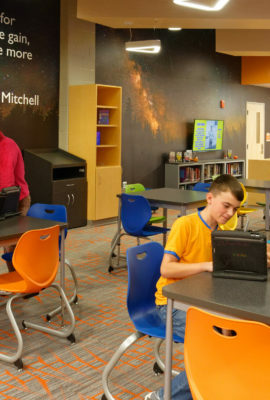 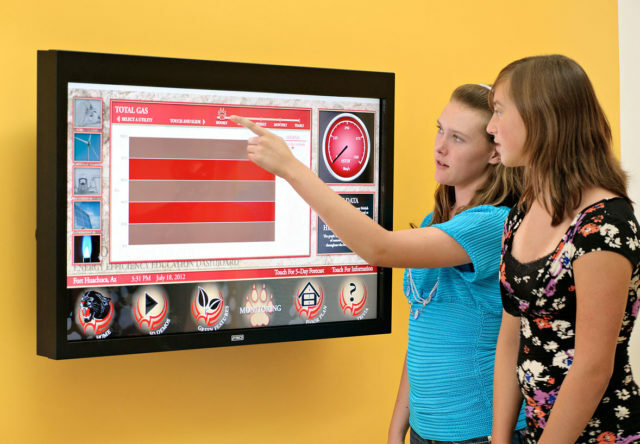 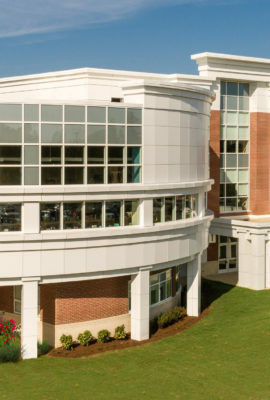 Instead of a media center, Colonel Smith features a high-tech Research Commons for project-based instruction. 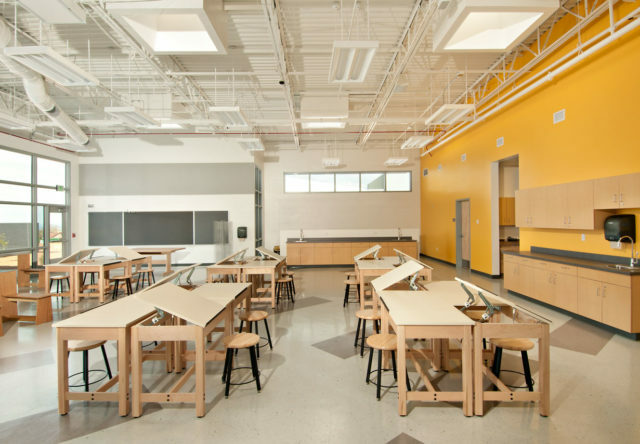 Innovative STEM labs take the place of traditional science labs to support 21st century learning. 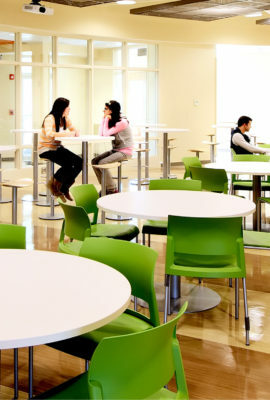 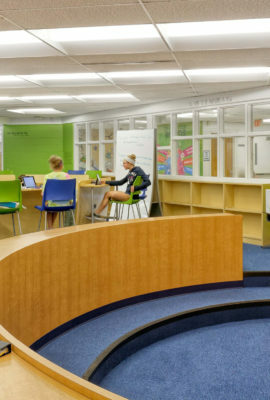 Open collaboration areas, mobile furniture and central data hot spots support any learning configuration. 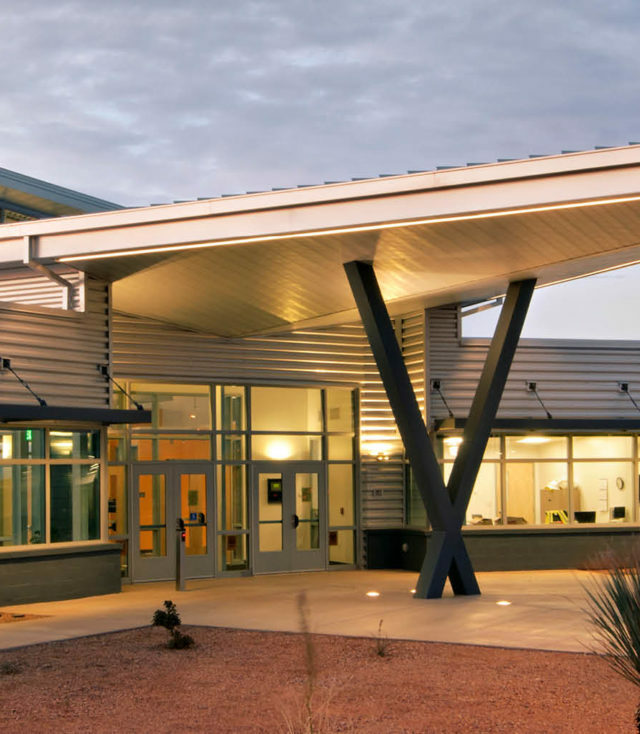 The school's Net-Zero strategies include a layered daylighting approach that reduces artificial lighting use by 80 percent. 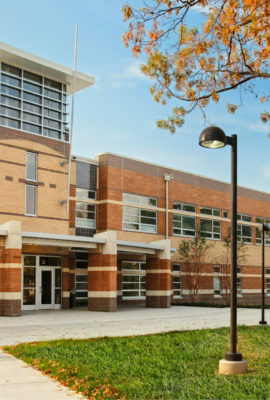 A popular energy dashboard, located in the main commons, allows students to track the building's energy use and energy gained from on-site solar arrays and wind turbines. 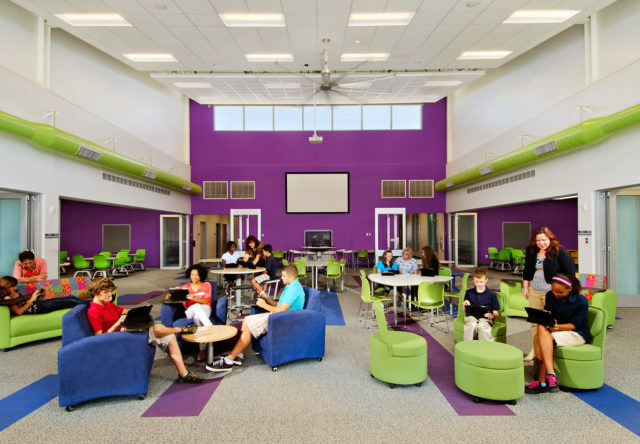 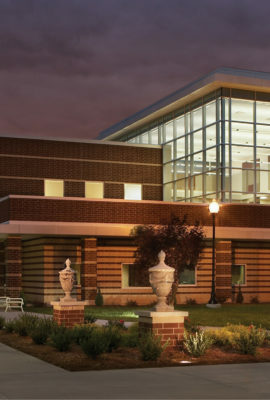 Advanced STEM strategies and sustainable design elements make the Colonel Smith campus unlike any middle school in the country. 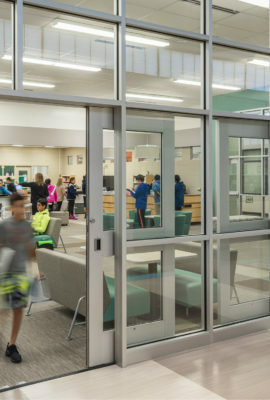 It is beyond my ability to find the words to tell you how it makes me feel when I walk through the school and see what you and the team did with my hope and vision.